During the run-up to the November 12 release of my first book, Junkyard Planet: Travels in the Billion Dollar Trash Trade, every weekday I’m posting a new photo taken during my decade of reporting on the global waste, recycling, refurbishment, and repair trade. Today we get personal, with the archetype of the guy you’ll likely meet at your local junkyard. As always, click for an enlargement. I’ve visited well over 150 scrap yards around the world during the last decade, and they all have a thing or two in common – the most important being a savvy character to run the scale. 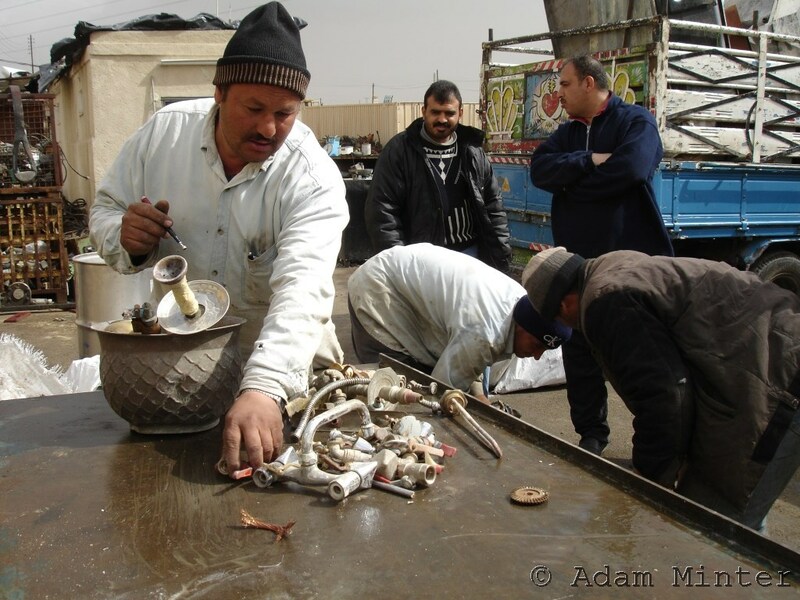 Here, on a brisk February morning in 2007, the Amman, Jordan variety of the universal junk man (who has an equal partner, the Universal Junk Woman) waves a pen-shaped magnet over a pile of brass scrap – plumbing, a candelabra, a bowl. He’s looking for iron and steel – metals much cheaper than brass – which might be weighing down this load. Once he’s determined the brass is clean he’ll offer a price. It’s a much trickier job than it may look, however: over the decades scrap sellers around the world have developed an astounding range of tricks to sell cheaper metal for more than its value. I recall this buyer being especially wise to the game.